Now, here’s a tournament with a difference. 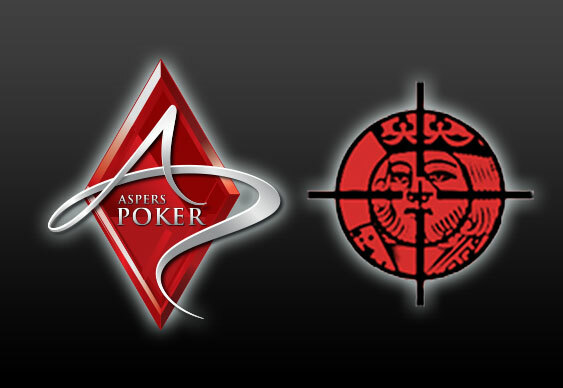 The first ever HeadHunterPoker Championship hits Aspers Stratford on the 15th to 18th January 2014. And sure, we’ve had head-hunter bounty tournaments before, but nothing on this scale. This is a £5k buy-in of which £1k is retained as a “scalp” for each player, the rest (minus the reg fee) going into the prize pool. That means you earn a grand for every player you knock out – a pretty nifty way of combating the cruel variance of tournament poker. It’s the brainchild of semi-pros Dale Williams (DezRaiseNFold) and Daniel Gray (rivered9999), who are committed to organising innovative new poker events in the UK, and have some big plans and exciting ideas up their sleeves. “We wanted to create a poker event based over a couple of days with the action being fast and relentless, with great prize pools and incentives to get the action going,” they told us. With Stratford as their inaugural flagship event, the lads have five more stops planned in five different cities, and, if £5k is too rich for your blood, will be experimenting with some lower buy-in HeadHunterPoker tournaments in the coming months. The final table will be played on the last day and recorded for television and we hear Devilfish is a committed runner. PokerStars and William Hill Poker have already committed to backing the project, and multi-level satellites, where you can qualify for as little as £25, are live on William Hill now. There are some great player rates for local hotels for players buying their ticket directly at www.headhunterpoker.co.uk.